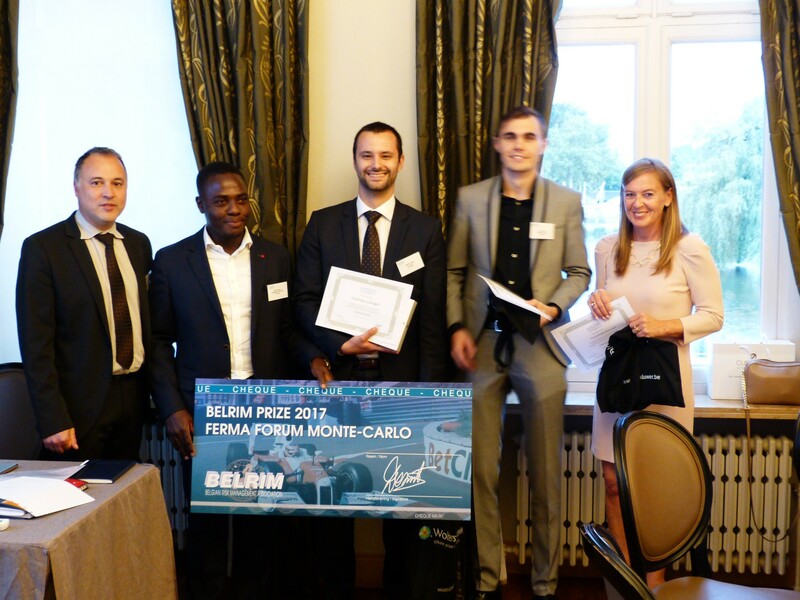 The BELRIM PRIZE CEREMONY was held on 7 September 2017. All papers were of a high quality and were reviewed by the BELRIM Jury Members, Yves Brants, Michelle De Vlieger, Marie Dequae, Jacques Van Keirsbilck, Marc Rombouts, François Marlier and Jo Willaert. All papers were quoted taking into account their academic level, and compared accordingly. The utility for the RM Profession is a crucial criterion. The focus should not only be on academic literature but also on what happens in the field, on a national and – if appropriate – international level. A personal point of view and conclusion are expected, based on the analysis made. The winner of the BELRIM PRIZE 2017 is Marius Kamto Kenmogne. He can fly to Monte Carlo and attend the FERMA Forum from 15 till 18 October. Vedran Cengic was awarded with the 2nd prize and Laurens Sap came third. Extra prizes, such as an IPad and book packages, were offered by our partner Wolters Kluwer. Moreover, all laureates receive a free one-year BELRIM membership and are invited to all activities organised by the association. The papers are available for our members and are published on the Members Area of this website.